BERLIN--(BUSINESS WIRE)--TCL, a top three global television manufacturer and QLED technology innovator, today unveiled its smart TVs at IFA 2017: The supersized QLED flagship XESS Private Theatre X6 and the P6 TV from TCL’s Popular series bringing consumers AI and new content solutions. “Today marks a significant milestone for TCL, as we continue to innovate on behalf of our sophisticated global customer base,” said Tomson Li, Chairman and CEO of TCL Corporation, pledging to become a global leader in smart products and Internet services. The Private Theatre XESS X6 employs Quantum Dot display technology and supports Dolby Vision™ high-dynamic-range (HDR). It accurately represents 1.07 billion colors. The 85” QLED display hits 1,200 nits in peak brightness and has a color purity 58.3% better than traditional TVs. The contrast ratio (12 million:1) is increased by local dimming – supported by 1,200 LED backlights. The X6 comes with a Harman Kardon sound system and supports Dolby Atmos® sound technology and DTS: X 7.1.4 technology and its glossy walnut and copper finish gives a luxury touch. 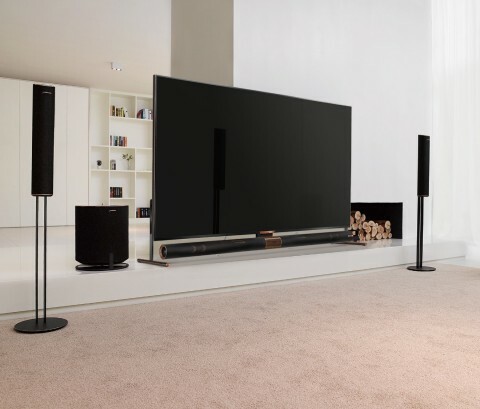 Being just 24.8mm wide, the XESS Private Theatre X6 is one of the thinnest supersized TVs and the thinnest of those above 80 inches in size that apply local dimming technology. The mid-range P6 TV further elevates the TCL Popular Series’ trademark outstanding design and delivers HDR picture quality via 4K UHD display technology. Its micro-dimming achieves great contrast and its Sports Mode optimizes live-action images with the help of studio-level Dolby 5.1 surround sound. The P6 has an ultra-slim body piece, elegant flow line and a 4.8mm narrow bezel. It is available in 43”-65” sizes with black and silver color options, which will be launched in overseas markets from Q4 2017. In the first quarter of 2017, TCL ranked in top three for global TV shipments, with a market share of 7.3%, according to IHS. In the first half of 2017, TCL LCD TV total sales volume rose by 12.2% year-on-year to 9,603,392 sets (excluding commercial display). LCD TV overseas sales volume reached 5.74 million units, up 34.1% year-on-year, while sales value rose 51.0% year-on-year. TCL ranked the third in France and the Philippines, fourth in Thailand and fifth in Vietnam, Australia and the US.